Golden Tee Golf Complete arcade game rental is the version of Golden Tee Golf that includes 29 different golf courses. Guests at a golf party, corporate team building event or company party choose their own club on the Golden Tee Golf Complete arcade game rental, control the direction of the golf ball, put backspin on the golf ball and even hook or slice the golf ball depending on the specific hole. There are lifelike golf sound effects along with golf commentary by famous golf personalities which enhance the experience of participating in Golden Tee Golf Complete. Up to 4 players compete viewing their shots & scores on a 27 inch high resolution monitor. Amongst the four amateur courses on the Golden Tee Golf Complete arcade game are Kings Canyon, Blue Stone, Blue Horizon & Eagles Peak. The challenging professional courses on the Golden Tee Golf Complete arcade game are Mystic Hills, Suerte Del Sol, Crimson Rock, Pine Meadow, Bay Side, Rattlesnake, Maple Acres, Castleshire, Buckhorn, Crawdad, Kings Canyon, Kiwi Springs, Blue Stone, Heartland Creek, Tropical Falls, Eagles Peak, Blue Horizon, Swords Pointe, Cedar Meadows, Shadow Swamp, Ridgewood, Painted George, Oak Hollow, Sapphire Springs & Balmoral Greens. Several prestigious golf tournaments sponsored by the PGA Tour use WOW Entertainment to provide Golden Tee Golf arcade games for the players as well as the corporate sponsors. 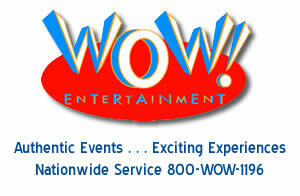 Call a WOW Entertainment event specialist at 800-969-1196 to learn more about this item and any other golf party items that may be suitable for your event.